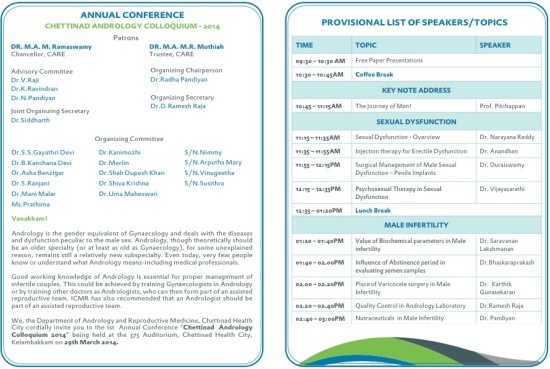 Colloquium 2014” being held at Chettinad Health City, Kelambakkam, Chennai on 29th March 2014. Please refer attached files for the list of topics and speakers. 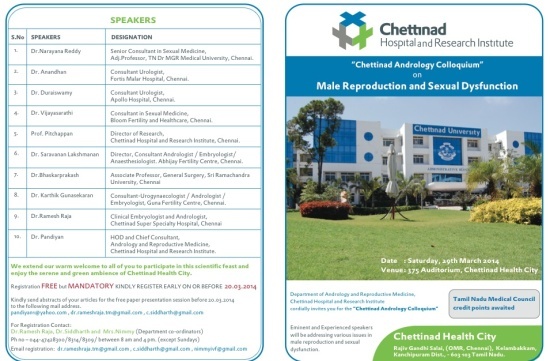 Kindly make yourselves available for the day to participate in this scientific feast and also enjoy the serene and green ambience of Chettinad Health City.